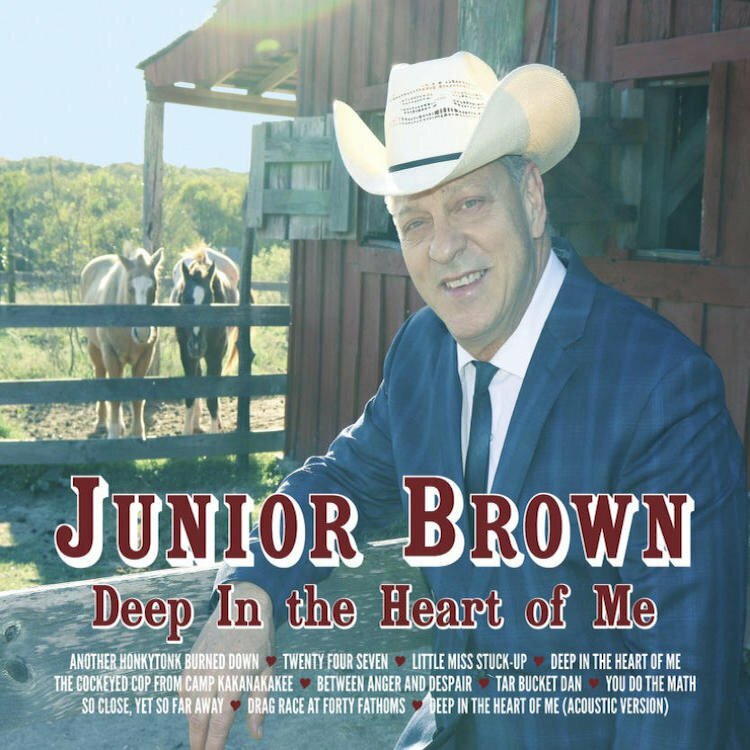 Deep in the Heart of Me is Junior Brown’s tenth studio album. He is an old school practitioner of the country form who operates in the shadow of the bloated modern country music business. The contemporary country scene is full of cliché ridden drivel which sounds like music filtered through focus groups which is manufactured to pander to the LCD (lowest common denominator) crowd. 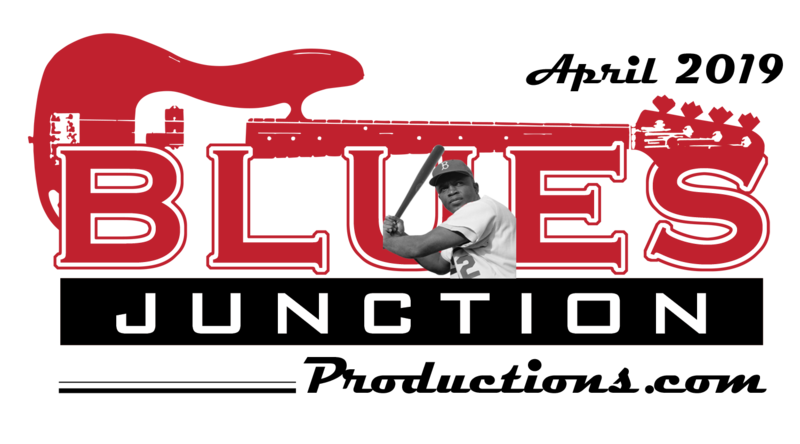 It’s the blues-rock of middle America. It’s the smooth jazz of the pick-up truck crowd and the soundtrack to a Trump rally. It is simply pop music in a cowboy hat. Junior Brown is a welcome presence on the music scene, yet he remains a foreigner in his own genre. That’s okay by me, as I have always welcomed his music into my home. On Deep in the Heart of Me, Brown gives listeners a big dose of what put this major talent on the map in the first place several decades ago. That is great original songs sung in a rich baritone with a back-up band who lends incredible rhythmic support to an artist who is likely to take some wild excursions on both electric and steel guitar. That band is always there when Brown returns from one of his intergalactic solos. Brown famously plays the electric and steel guitar on a strange rig called the “guit-steel”, of which only two are in existence. Brown travels with one, while the other is in the Smithsonian in Washington. The guit-steel, which Brown invented, is unique, as is Brown. Even with great musicianship and vocals, which Deep in the Heart of Me has in great abundance, any album is only as good as the songs. Here is where Brown also excels. He is a word smith of the highest order and delivers material imbibed with wit, intelligence and irony. At times he also can be romantic and then turn around and deliver some much needed silliness before satirizing some often overlooked slice of life. The album opens with a tune about the sad state of affairs in the music business entitled Another Honky Tonk Burned Down. Then it is onto a love song in a humorous package entitled Twenty Four Seven. This tune satirizes America’s new abbreviated language where everyone it seems has turned into a “Valley Girl.” Then he veers off into classic Junior Brown territory with a play on words with Little Miss Stuck Up. The album’s title track may be the strongest and shows up twice, as the CD closes out with an acoustic version of Deep in the Heart of Me. Two songs about working class heroes in the great country music tradition include The Cockeyed Cop from Camp Kankakee and Tar Bucket Dan are sorbets between love songs about the flip side of love Between Anger and Despair and You Do the Math. Then both Junior Brown and Tanya Rae Brown redo a song that originally appeared on 1993’s release Guit With It, So Close Yet So Far Away. Tanya Rae displays some incredible vocal chops which demonstrate that she could be a star in her own right had she not chosen to be an acoustic rhythm guitar playing demoness in the Junior Brown Band all these years. She is a major talent who has settled on the role of muse to Junior Brown’s love songs which flow out of him like a steady, slow-moving river winding their way through the Texas hill country and onto this album. Like great traditional blues, the country music sounds of Junior Brown don’t come with an expiration date on them. His music is timeless. Deep In the Heart of Me, Junior Brown’s long awaited album, was originally scheduled for a 2017 release and has finally arrived here in 2018. Like the best things in life, Deep In the Heart of Me was worth the wait. On the Junior Brown website he is referred to as “The American Original.” That is as true a statement as can be found in the over-hyped music business. There is only one Junior Brown and by my way of thinking that sounds just about right.